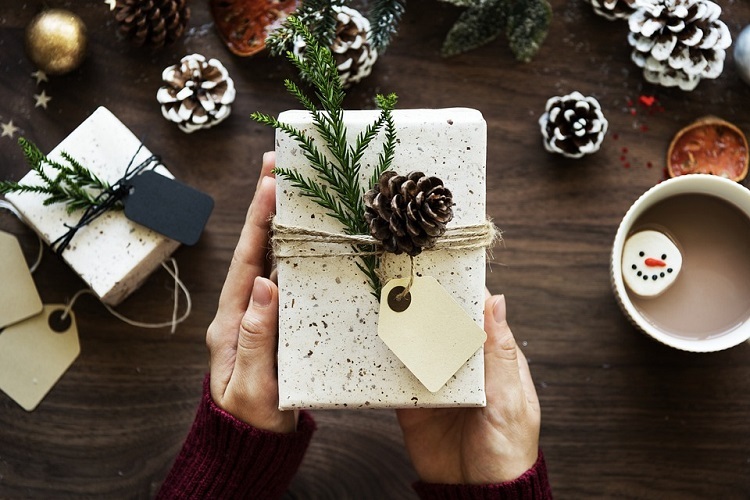 Christmas is round the corner and you’d better sharpen those gift wrapping skills so you can impress everyone with beautiful gifts wrapped like the pros! When wrapping the gift, never place it on the carpet. Always use a clean, hard surface to place the wrapping paper and the gifts. This can help you avoid wrinkles and get sharp edges. When you sit on the carpet and distract yourself with TV, you’d end up with poor packing and also probably double the time. Also use the right tape which can help you secure the gift wrapping paper firmly. In case you do not have tape, make use of stickers to secure the paper. Here is a gift wrapping tutorial of the same. 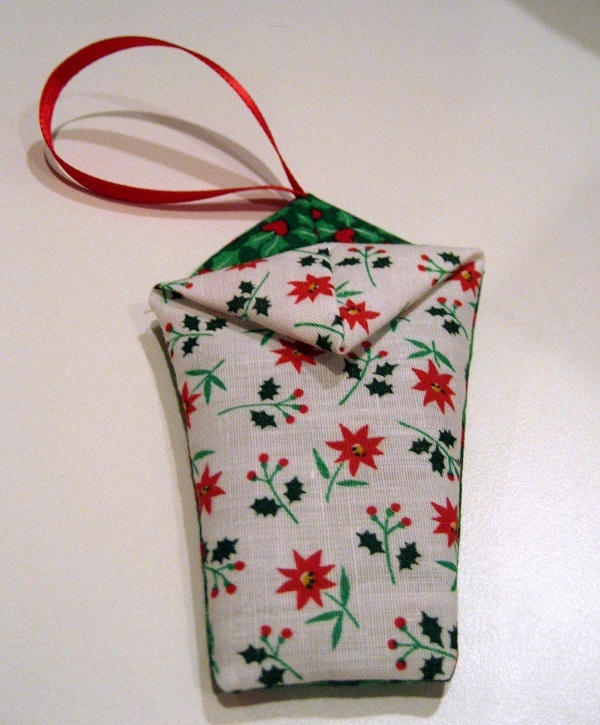 Another easy way to wrap holiday gift is to use fabric instead of paper. You can buy the fabric or use old T-shirt-just ensure that it is free from wrinkles. Tie the ends of the fabric in a beautiful knot/flower design etc. For details, click this link. You can also re-purpose an old sweater for this purpose. Gift wrapping styles are easy to implement using an attractive scarf. Your recipient will appreciate the gift and the scarf too! Here is an easy tutorial. 4. 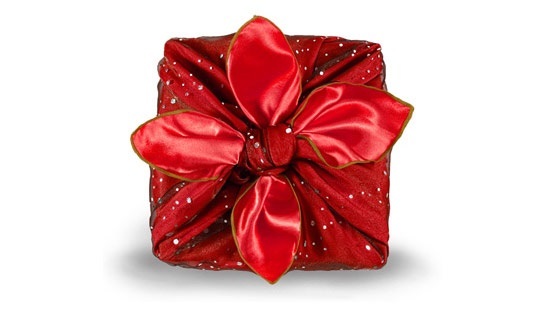 Ideas to wrap without a box- use the same shape as that of the gift! An easy way to gift wrap shirt/dress that does not come in a box is to wrap it in the form of a shirt/dress. Here is a great gift wrapping tutorial for the same. To wrap up an oddly shaped object that is small and shapeless, you can use wool or yarn. Wrap the threads of the yarn around the object until the entire surface is covered. Add in a tag to write the recipient’s name along with a special message. Here is a great video tutorial for wrapping gifts using yarn. Decorate an old paper bag or lunch bag with beads, buttons and laces or ribbons. Use markers to add designs and color pencils, crayons or water colors to add pops of color. You can also use paper bags from grocery stores. For a rustic touch, use recycled brown parcel bags. To add a Christmassy feel, add some pine tree leaves or paste some dried potpourri on the gift. In order to wrap a gift without a box, use a newspaper. It will cost you next to nothing and is a great way of recycling paper while saving money on gift bags and boxes. Add a ribbon to make the gift look elegant. One of the easiest gift wrapping techniques is to use rubber rollers. Create your own custom roller and add some color on the embossed area. Roll the stamp on your plain gifts to add beautiful Christmas designs to it. Is there a puzzle-loving recipient in your Christmas gifting list? 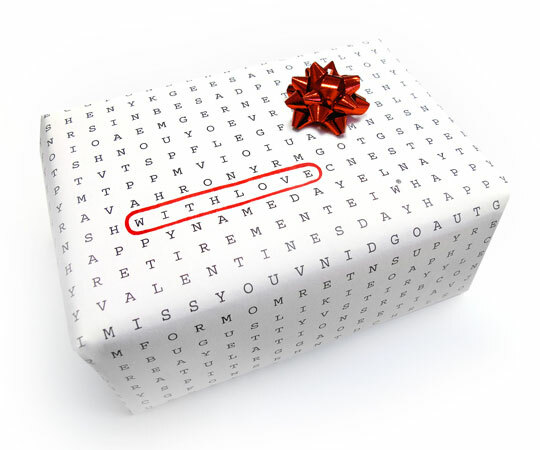 Then simply print out some word searches or puzzles and use the same for wrapping the gift. Your recipient will surely love it! An ideal way to give a gift and a game! Printable templates will make your life a lot easier this Christmas and are an amazing way of wrapping a present creatively. The best gift wrapping styles include paper with pretty cut-outs, quirky prints, hand-lettered prints, chalkboard prints etc. Check out some of the best resources for such downloadable printouts here. 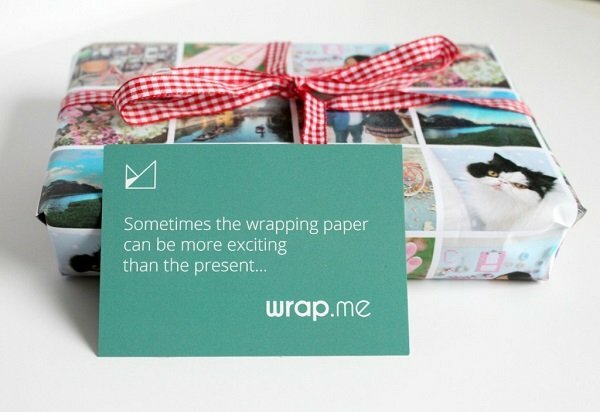 Want to wrap a gift without a box? Use a cereal box! You can also use shoe boxes. Here are some great videos for these gift wrapping techniques. There are many photo apps that allow you to add text and pictures to your Instagram pics. Simply add personalized messages or drawings and print the photos out. Add the “to” and “from” on these custom tags and use the photo printout to wrap the gift in. Here is an easy ribbon bow tie tutorial for you to impress your recipients with. Use glossy magazine page strips to make gift bows with. 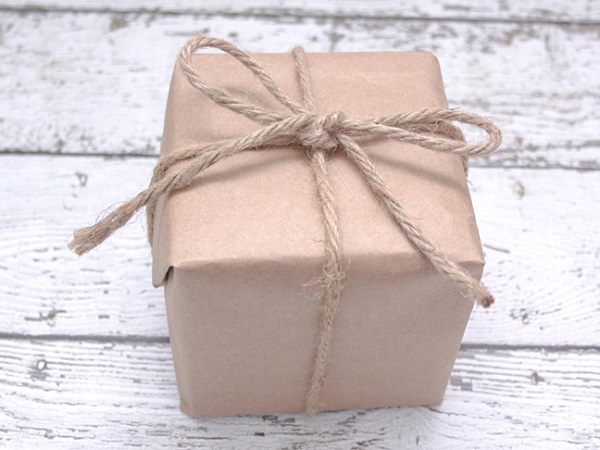 Here is a simple step by step tutorial to wrap a gift in glossy magazine papers. Tissue papers add an elegant touch and make your gift look professionally packaged. 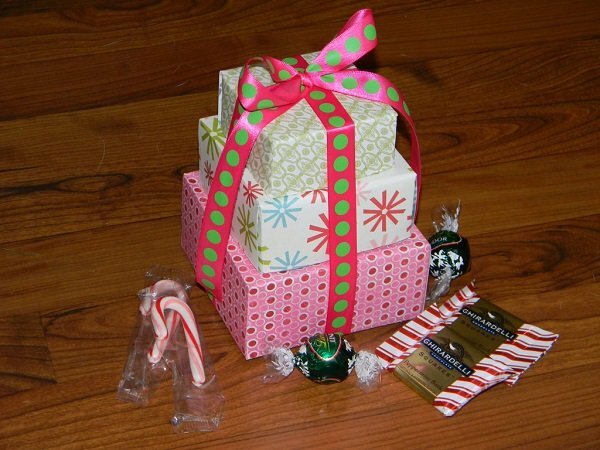 For toys or shapeless gifts, use the candy-style gift wrapping technique. This is ideal for balls, clothing, soft toys etc. Make a gift pocket like this. Add a sassy sash instead of a bow and take your gift wrapping techniques to a whole new level. For multiple gifts, make a gift tower. 20. Add tissue paper flowers! Make flowers out of tissue paper and add them to the box. Add starting letters of the recipient’s name to the gift. Try these 21 easy ways to wrap a gift this Holiday season and get ready to impress your friends and family members!